JUPITER, FL – November 9, 2017 – For over 20 years Marie Antoinette’s Furniture has been the premiere choice in Palm Beach County for home furnishings that are both unique and beautiful. Featuring an array of styles appealing to the most discerning buyer, they have two convenient South Florida locations to serve your home needs. They invite you to visit their showroom in North Palm Beach at 556 Northlake Boulevard or stop by their store in Tequesta located at the Gallery Square North Plaza at 379 Tequesta Drive. Marie Antoinette’s is pleased to announce the opening of their third location at Harbourside Place in Jupiter at 113 N. Coastal Way on November 11, 2017. Be certain to check out their Facebook page for upcoming exciting events. 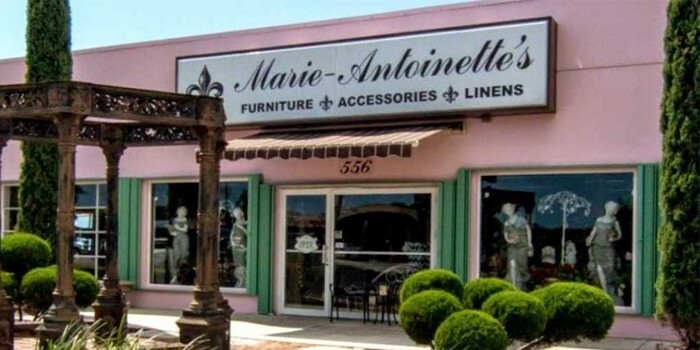 Marie Antoinette’s features furniture, accessories, bed linens, and a beautiful boutique. The store hours for the Northlake and Tequesta locations are Monday through Saturday from 10 am to 5 pm, and the Harbourside hours are Monday through Sunday from 10 am to 7 pm.